The factory exhaust unit was not built with optimal performance in mind. 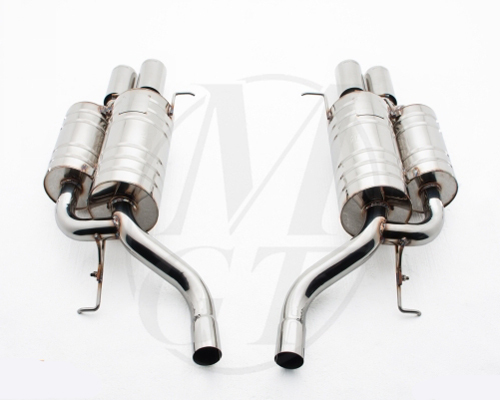 Manufactures have various factors they take into consideration when designing an automobiles exhaust system that come before performance, such as cost reduction, sound deadening, etc. All of these compromises come with a price, they reduce performance. 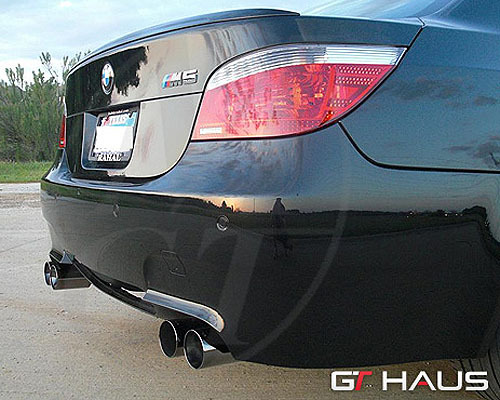 This Meisterschaft Axle back exhaust replaces the restrictive factory unit and increases exhaust flow by minimizing bends in the system. 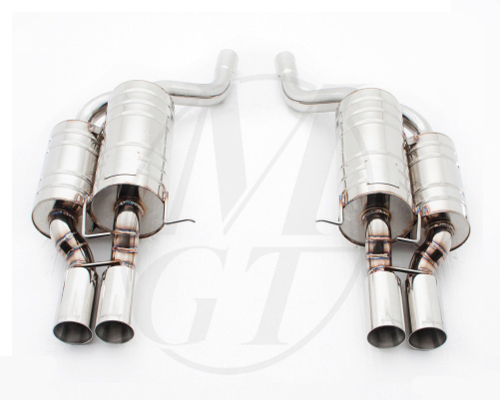 Meisterschaft's design team builds their exhaust systems to compliment the power plant of your BMW and increase horsepower and torque. 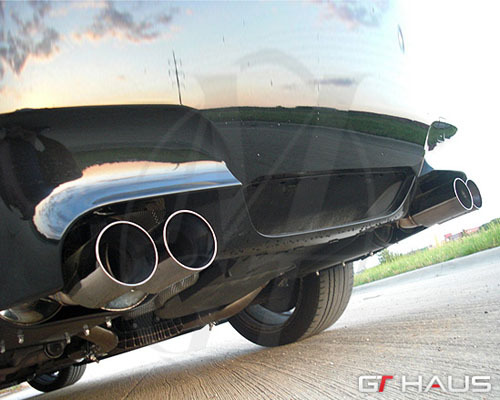 With a better flowing exhaust you have faster throttle response and more power. 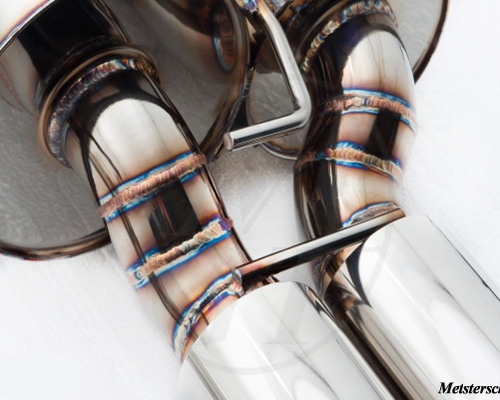 Meisterschaft's Welding technique and internal construction are handled with extreme care and also given more attention to details compared to other brands. 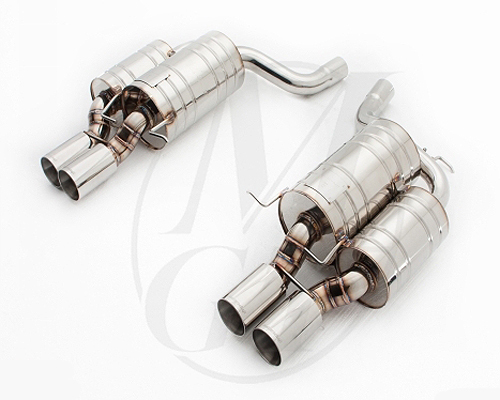 Meisterschaft builds their exhaust systems out of the highest quality 100% Stainless Steel. 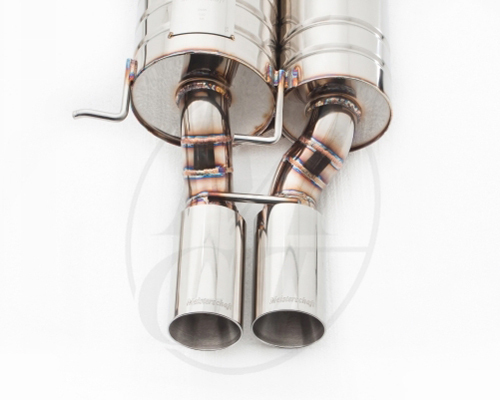 Along with better performance, the increase in exhaust flow also provides a louder, more aggressive tone over stock. The polished tip adds a classy final touch to your BMW.